to the tooth such as the sensations of hot and cold, and they are commonly used to treat tooth decay symptoms such as an abscess or an infection or other condition that has damaged the pulp and nerves housed within the tooth. Root canals are one of the most common oral surgery procedures, however there are some risks involved to having a root canal done. There are some times when the tooth is not cleaned and sealed completely following the procedure, and this can lead to a root canal infection. Essentially, remaining germs and bacteria become locked within the cleaned chamber and this can result in a root canal infection. This can be caused by many things, however some of the most common causes of a root canal infection are a crack in the tooth that went undetected (this can allow the introduction of new bacteria and germs after sealing), the presence of more canals than originally thought and one or more not being properly cleaned and sealed, defective restoration of dental work that leaves the tooth susceptible to bacteria, and a gradual breakdown in the sealing materials used which, over time, can lead to a root canal infection within the tooth. Treating an infection of the root canal starts with antibiotics and other treatments that are typical for relieving tooth infections. However, in the event that these remedies are unsuccessful, more drastic treatments may be required such as endodontic surgery for a root canal infection. This involves a resection of the root ends and can relieve some of the discomfort, swelling and inflammation that can result from a root canal infection. Gum tissue is opened during this procedure in order to remove the infected tissue as well. This type of drastic treatment may leave some seeking a root canal alternative. 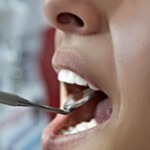 All dental procedures carry a small amount of risk and root canals are no exception. Their primary purpose is to try to save teeth that are badly damaged or decayed however some elect extraction instead, opting to remove the offending tooth and either replace it with a false one or, nothing at all. Depending on the amount of damage that has occurred within the tooth, or other underlying conditions such as gum disease symptoms, root canals are not ideal in every situation. However, for people who are interested in saving teeth that are otherwise too painful to remain in the mouth, a root canal is the best recommended form of treatment. If you are concerned about the risks of a root canal infection, you should discuss these with your dentist before the procedure. He or she will discuss the potential concerns and problems involved with having a root canal so that you have all the information you need to determine if the procedure is right for you.